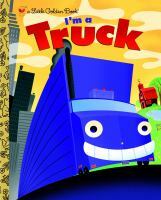 I love that this is the other book that comes up when I search “I Am a Truck” at my library. Michelle Winters is also an artist. Despite my lack of interest in vehicles, this one sounds interesting. Oh, this sounds great. I read French, just about, too, so would love to try this one if we can get it over here! I’m glad it appeals! If you know even a little bit of French then you’ll be fine! I felt the same way when I first saw it. Even though it turned out to be the last Giller book I read, it’s the first one I put on hold at the library. It just didn’t come in as fast as the others. In fact, I ended up just buying it… but I’m glad I did! This sounds wonderful. Is the French problematic if you’re not fluent? No, it’s very basic French, and only used when the characters speak. Even if you don’t know any French, you could probably get a good enough sense of what they’re saying just from the context of the story. This was the book that appealed to me the most when I perused the covers and titles of the short list. And it still does – even more! Colchester Library has it (in processing) only in eBook, with a waiting list. I’m on it! Oh boy, this review makes me really want to read this book now! To be honest I wasn’t that interested in it before (I’m sick of all the damn trucks in Alberta) but this sounds like a really unique read. Only three more days! 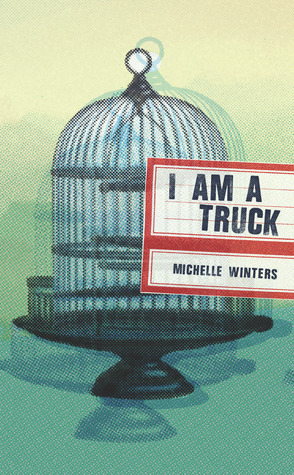 This is a great book – I think you’ll like it despite the trucks! I enjoyed the quirkiness of I Am a Truck and found it tested my french skills as I read through the franglais! There wasn’t a lot I didn’t like about it… even when I didn’t like what was happening! It really is a great little book – and I think you’ll be okay with the French. It was captivating to watch how Agathe’s life began to open up. This sounds so good – the part about how Agathe’s life changes without Rejean sound most intriguing. And then something happens that you’re not expecting and everything changes again! Have you read A Man Called Ove? The loyalty to a car brand is fierce in that book, but I have a hard time imaging this type of loyalty–almost like a marriage–to a company. I agree! She seems very practical in a “chin-up” kind of way. Using the material to create something fun, rather than wallow in it. Ooooh, what brands does she love? Wasn’t this just so completely satisfying? From start to stop. And I love the fact that you included the Golden book that comes up in all those online searches: that makes me smile! Isn’t it strange to think about her writing about other characters though? I seems like this was just perfect and I can’t imagine what she might do next. Yes! Agathe and Rejean feels like the characters she was supposed to write about. And Martin and Debbie. I’m VERY curious to see what she will write about next!